Could Tony Romo Coach the Cowboys? Could Sean Payton Coach the Dallas Cowboys? 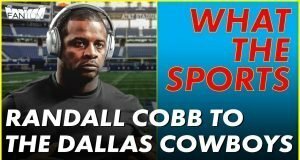 The Cowboys Add Randall Cobb…Now What? How Much Longer Will Jason Garrett Be the Cowboys Head Coach? The NBA Playoffs are upon us and I’m going to try to convince you that we don’t already know who is going to win the Finals. Or, maybe I’m going to try to convince myself. Either way, it’s hard to picture anybody other than Steph Curry hoisting the Larry O’Brien Trophy again. Although, there’s a chance this could be the final time. 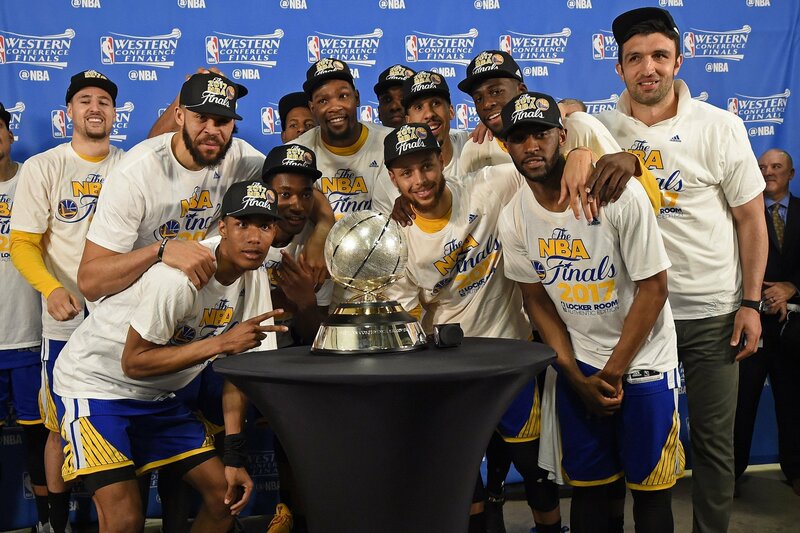 SBD’s NBA odds suggest Golden State is the favorite on pretty much any given day and this holds true to the NBA Championship as they are still top dog at -200. We’re so used to seeing the Warriors vs. LeBron it’s weird to think we’re guaranteed to not see that this year thanks to the biggest grease fire in pro sports, the 2019 Los Angeles Lakers. Shout out to the King, y’all. LeBron is the GOAT? Someone tell Nick Wright GOATs don’t miss the playoffs in their prime. Remember when people were arguing LeBron is better than MJ because of his Finals win over the Warriors? The argument went that MJ never beat a team as loaded as that Warriors team. The one without Kevin Durant? Also, the one without Draymond Green in the pivotal game? Just to set the record straight, MJ beat Malone and Stockton twice. Malone is second on the all-time scoring list and John Stockton is number one all time in assists. Both would also list higher than the second best player on that Warriors team and it’s not even close. The West is loaded again, even without LeBron’s Lakers in the postseason pool. The field is essentially the same eight from last year, except for the additions of Denver and the LA Clippers. Both Minnesota and New Orleans are out. The Denver Nuggets are the new kid on the block. They’ll finish at worst the two seed in the West. The Nuggets are returning to the playoffs for the first time since George Karl’s final season in 2013. Under Karl, the Nuggets made 10 consecutive playoff appearances, which ended with a 36-46 record under Brian Shaw in 2014. However, that June the Nuggets drafted Nikola Jokic with the forty-first pick in the NBA draft. Then, in 2016 they took Jamal Murray with the seventh overall pick. They also committed to coach Mike Malone who won 33 games his first year with Denver, 40 in 2016-2017, 46 last year and now more than 50 games in 2019. The Nuggets have all of the ingredients for long term success with a superstar in Jokic and a budding star in Jamal Murray, but this will be a year for postseason growth. Playoff experience truly matters in the NBA therefore, If they win a series, it’ll be a tremendous victory for this franchise. Anthony Davis is one of the most talented players in the league and he’s only won one playoff series in two trips and the Greek Freak has been going through those same growing pains for years. It’s hard to make an argument for any team in the West to beat the Warriors in a 7-game series, but certainly if any team can, it’s the Houston Rockets. Afterall the Rockets came very close last season. They got off to an abysmal start to the season after some questionable offseason moves, but were saved by the otherworldly performances from James Harden. However, as has always been the case, we’ll wait and see how it looks for the Beard in the playoffs. While Harden has been unquestionably one of the league’s best players, and perhaps the best in the entire league the last two seasons, he has bowed out in the biggest moments of the postseason…time and time again. If Chris Paul is healthy…and it’s a big if, the Rockets have the talent, experience and confidence to knock off the Warriors. However, the Rockets are 20th in defensive rating after finishing 7th last season. The loss of Trevor Ariza has been far too much to overcome, at least statistically. The Eastern Conference is much more entertaining. Remember, LeBron James has had a monopoly on the Eastern Conference. The last time LeBron didn’t win the East was 2010. The Milwaukee Bucks are the favorites to win the East in 2019. Or…maybe it’s the Celtics? There is also the Raptors and 76ers too. The Toronto Raptors underwent a complete makeover this offseason, they added Kawhi Leonard, who is one of the league’s best two way players when healthy and Pascal Siakam has blossomed into a star. Plus, the midseason acquisition of Marc Gasol has made Toronto versatile enough to play big or small. The Boston Celtics have a ton of talent, they finally look healthy and they have one of the best strategic coaches in the entire NBA. The only thing holding the Celtics back is seeding. 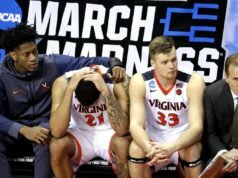 If they finish fourth in the East they’ll likely have to play the semis and conference Finals without home court advantage, which is traditionally a death sentence in the NBA. Then there’s the Milwaukee Bucks. With LeBron gone from the East, Giannis Antetokounmpo is the best player in the conference. Plus Khris Middleton and Eric Bledsoe have emerged to form a pretty formidable Big 3. I’ll take the Warriors over the Celtics in the Finals. Previous articleThe Cowboys Add Randall Cobb…Now What? 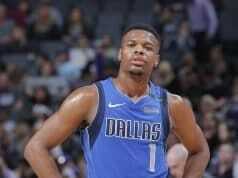 Should the Mavericks Trade Dennis Smith Jr?